Chicago band Nia Quintet has won praises for the creativity and originality it has brought to the jazz scene. 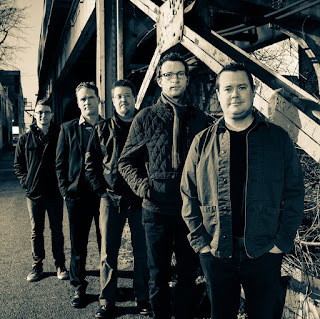 The band recently released its third recording, "Music by Scott Anderson," the first since Jon Dietemyer and Paul Mutzabaugh joined the band. Nia Quintet will perform from 6 to 8 p.m. June 12 at the Chicago Botanic Garden, 1000 Lake Cook Road, Glencoe. I had the chance to interview band leader Scott Anderson, who plays trumpet and flugelhorn, about the new CD. Q – Great talking to you. I know this is the first album the band has released since Jon and Paul joined the group. What do you think they have brought to the table and how do you think the band's sound has evolved since they joined Nia Quintet? Hello and thank you for the question. I would say the most important things that both Paul and Jon have brought to the group is the understanding of the overall direction the group is headed. Paul has told me and numerous others that to play my music, “You have to have pop sensibilities with jazz headroom.” I believe that kind of translates into both his and Jon’s ability to play not only straight ahead jazz, but to embrace the qualities in my music, which are not always cut and dry jazz tunes. They do a wonderful job of spontaneous orchestration during performances and have developed a type of communication with each of us in the band that allows us to grow as individual players and as a band as a whole. They are really quite amazing musicians and friends. Q – You spent more than two years in the mixing studio after recording the tracks. What were you looking to add to the tracks and did you accomplish your goals? I would say yes, we did accomplish my goals and were able to take the music in the direction I was hearing in my head more clearly on this CD than any of the other albums. I was looking to add effects and “sound-scaping” ideas to the tracks that added a depth to the recording that would be subtle and appropriate for the project. We added auxiliary percussion and even recorded a gong under water to get a sweeping effect we used on some of the tunes. I was thinking somewhat “old school” when it came to trying to create effects for the CD and wanted to try and do it with instruments, coins, microphones, etc and not rely totally on digital pro-tool patches to achieve the desired effect. I have huge respect for Paul and his ears, know-how and for helping me get this done. The engineer on the CD, Brian Schwab, played a huge role in overseeing our ideas as well, so a huge thanks to him! Q – What made you want to move to Chicago and what do you think of the music scene here? How do you see the Nia Quintet fitting into the Chicago music scene? I had some trying times towards the end of my college career and lost my entire family. The impetus for moving to Chicago was my relationship with the saxophonist in the quintet, Dan Nicholson. He and I have known each other for 32 years and he was the closest thing to family I had left. He and I had dreamed of putting a band together when we were kids in high school and moving to Chicago was the next step for me. than it has in years and I am glad to be part of such a wonderful community. There are times I feel like Chicago is the smallest large city I have ever lived in, but then things will happen that remind me of how beautiful the city is and what a thriving musical community there is here. Q – You have worked with the likes of Buddy Guy and other notable musicians. What do you get out of an experience like that? I would say that being in a city like Chicago and having the opportunities to perform with some of the famous people I have played with, from R Kelly to Latimore and many others has allowed me to draw from many genres of music and from many types of wonderful musicians who don’t have just a “jazz” take on performing and music in general. It’s always amazing to me where you can draw inspiration from. For example, the track "Asian Dominoes" on this new record is inspired by performing with musicians at a Southside gospel church gig I did for years. I was able to pull tons of inspiration from that setting and many other here in the city. Q – Where do you see the band going from here? My hope is to be performing and promoting the new CD over the course of the next year. Likewise, this summer, [I will] start on the next project for the band. I have decided to record the music of Wes Anderson films and orchestrate it for not only the quintet but plan on adding strings, multiple horns and percussion to bring that music to life. I can’t go into detail about all of it yet, let’s just say you’re gonna love it! 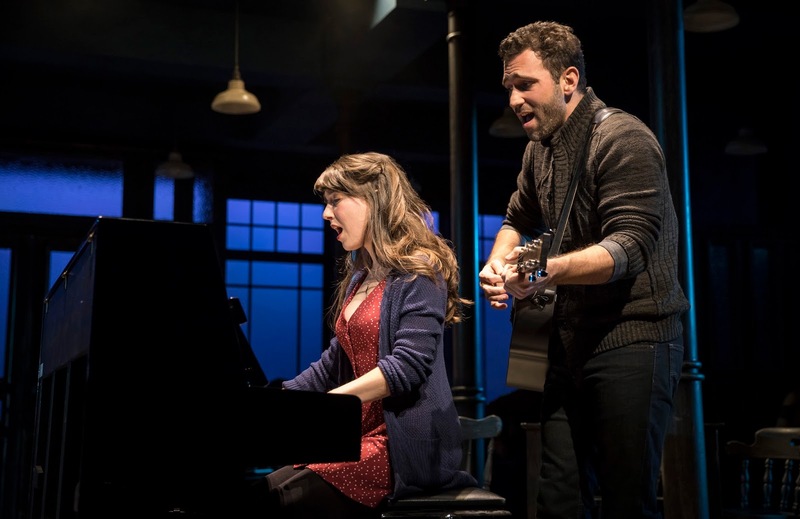 Paramount Theatre hits the right notes in stirring version of "Once"
Once again, the Paramount Theatre hits all the right notes with its production of "Once," which runs through June 3. For those not familiar with the story, "Once," a modern-day musical set on the streets of Dublin, tells the story of a street musician and a Czech immigrant during an eventful week as they write, rehearse and record songs that reveal their unique love story. "Once" is based on the Oscar-winning 2007 movie, which took home the Oscar for Best Original Song for “Falling Slowly.” The movie stars real-life musicians Glen Hansard and Marketa Irglova. The Paramount Theatre sets the mood before the curtain even rises. Patrons can stroll on stage to purchase beverages at a Irish bar, and a jam session among the musicians on stage before the show helps to get the audience in the mood for the production. Sparks start flying early between Barry DeBois, who plays the character Guy, and Tiffany Topol, who plays Girl. DeBois and Topol shine in their roles and clearly understand the emotional baggage that both Guy and Girl are carrying. They also earn high marks for the emotions they pour into the songs, written by Hansard and Irglova. The production is blessed by a spectacular cast of actors and musicians, including Jon Patrick Penick, who offers a hilarious take as Billy, a piano store owner. Kudos also go to director Jim Corti, who brings a sense of intimacy to the production, in turn allowing audience members to become part of the story as it is unfolding on stage.